Apple's spaceship campus is looking almost ready to take off. Apple celebrated its 40th birthday on Friday, and what better symbol is there to show Apple’s progress over four decades than a glimpse at the company’s gorgeous, James Bond supervillain-scale HQ? New aerial drone footage offers a 4K tour of how the enormous “spaceship” campus is coming together, complete with stunning comparisons between the site now and last year. 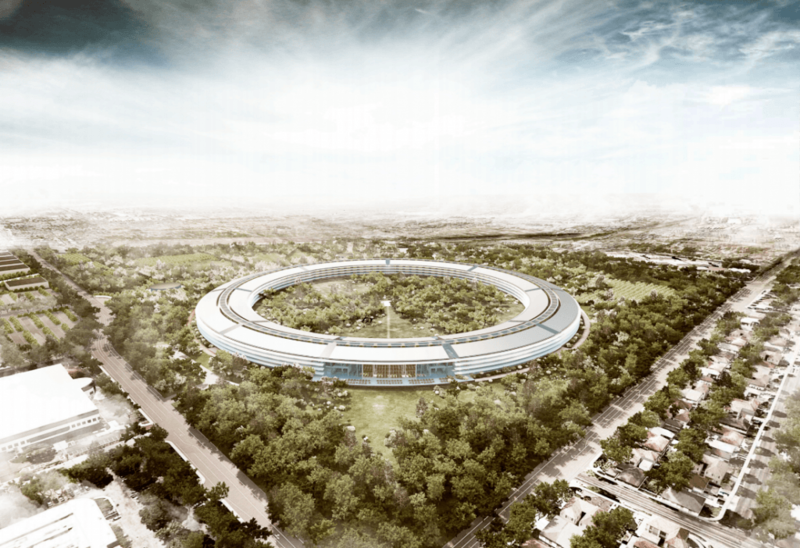 In a recent Vogue feature, Tim Cook and architect Norman Foster talked about the still-unnamed Apple campus II, which will boast 4 miles of curved glass, 7,000 trees, a 1,000-seat underground theater for future keynote events, and enough space for 13,000 Apple employees — or the equivalent of 35 fully-filled Boeing 747s. Suddenly my one-desk office feels terribly inadequate.